Riverside Submission was established in 2004. We are now known as Riverside Submission/Arrey Jiu-Jitsu, highlighting Richard Arrey, the owner/Master Instructor and our specialty. We are also an Aloisio Silva Jiu-Jitsu affiliate school, in the tradition and honor of Aloisio Silva and the core principals of Brazilian Jiu-Jitsu. These core principles that continue to guide us are: Dedication, Perseverance, Respect, Loyalty, Discipline, and Honor. In addition to our classes and instruction, we have teams that compete at every age level. 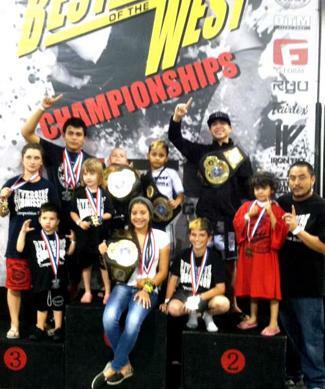 We are recognized as one of the leaders in the sport, having the most awards and titles at KidsWorld competition. To see all the individual accomplishments of our members, please check out our Facebook page. We have age appropriate classes for children as young as 2-1/2 and up through 12 years old. These classes teach all the fundamentals of martial arts and Jiu-Jitsu in a safe and respectful environment. We also have classes focused specifically for teens and adults. The Jiu-Jitsu and MMA classes for teens and adults are not for the faint of heart. We train hard, spar, learn advanced technique, and prepare individuals for Brazilian Jiu-Jitsu tournaments and MMA bouts. You can learn more about our Aloisio Silva Jiu-Jitsu here.